With the weather warming up many people will be getting ready to head outdoors for summer activities. That means outdoor enthusiasts will be gearing up for the many sports that the moderate weather allows such as hiking, fishing, hunting, basketball, baseball, cycling, and motorcycle riding. While the time outdoors playing in the sun is relaxing and great for your health, you want to make sure you have the proper gear to keep safe. Each sport has its own particular type of safety garb that will protect vulnerable areas. One of the most important parts of the body to protect that may be overlooked are the eyes. 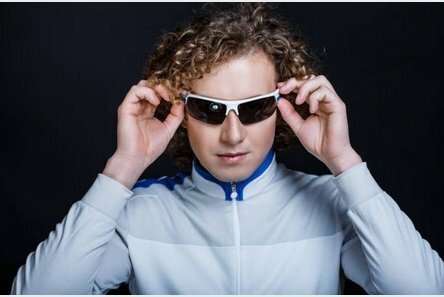 Here are a few of the ways protective sunglasses for sports protect your eyes. Projectiles can cause damage if they are not stopped or protection is not covering the eyes. You may not think a tiny bit of dirt will be much trouble, but if it is blowing into your eyes, it can irritate your eyes. Furthermore, it can hinder your vision at critical moments. And on top of all that protection you gain from a pair of sports sunglasses, they look awesome when you’re out there playing in the sun too. You can wear a pair that coordinates with your hair or clothing or wear your favorite brand. Frames come in a variety of colors as do the lenses, which means you have options. However, you don’t want to get just any pair of sunglasses for your sporting activities. You need a pair that will be best suited for the sport you are playing and that is superior in quality and protective features. 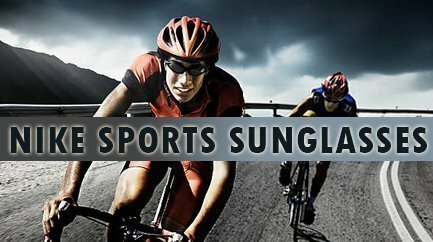 That is why we have developed this comprehensive guide of the best prescription sunglasses for sports. We’ve categorized each section by sport. The Wiley X brand is notable for its superior durability. In fact, each pair of glasses must pass rigorous testing before it is allowed to be sold. When we say rigorous testing, we mean projectiles are propelled at the lens to ensure that it won’t break under extreme conditions. This is one reason we recommend it for baseball. It will keep your eyes protected in those rambunctious game moments. With the Valor model, you will have the three lenses (smoke grey, rust, and clear) for changing outdoor conditions. This award-winning protective lens has the American Optometric Association’s seal of acceptance. These glasses not only meet the standards for impact resistance but they also are suitable for all genders and head sizes. The customizable straps easily adjust for adults or youth, making them a favorite for young people and parents. Select from attractive frame colors such as bold blue, brown, vibrant red, shiny silver, or black. These sporty sunglasses have plenty of style with the emerald mirror lenses. As always, your Wiley X seal of approval means these lenses have passed the ANSI Z87 safety testing. You won’t need to worry about comfort as you cycle for miles on smooth surfaces or take the bike on a rough terrain. The non-slip rubberized temple and nose piece stays securely on your face and provides comfort too. Enjoy cycling without the harmful UVA/UVB/UVC rays bothering your eyes. In addition, special tapering technology ensuring you won’t have any distortion in your field of vision. These prescription sunglasses fit well for medium size heads. Frames contain a wrap around preventing the sun’s rays from coming in at the sides and hindering your sight. This shatterproof lens is OSHA grade and meets all criteria for high impact standards of protection. The polarized smoky green lens is 100% UV protected allowing you to play your game of golf on the course for hours without worrying about the sun’s harmful rays. Plus you will be able to see clearly to make a hole in one! The lens uses Filter 8 technology, which means it ensures you won’t be bothered by glares from water or light colored objects. This helps your eyes stay focused and reduces strain. The shape and design of the temple arms of these sunglasses are inspired by golf clubs. The wide lenses ensure that you won’t be bothered by the sun while you play your game of golf. Interchangeable lenses come in grey and rose allowing you to select the lens that fits your viewing comfort. The gunmetal and silver frame has the Nike symbol in red on the side making them a stylish statement while at the same time protecting your eyes from the harmful rays of the sun. 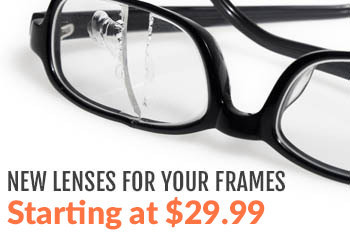 These sleek wraparound frames have powerful durability capabilities. The lenses exceed the basic ANSI Z87.1 standards and pass the high-velocity standards. A removable foam facial cavity seals around your face, which means nothing can fly into your eyes while driving. This allows you to cruise on your motorcycle in peace without the worries of dirt and fine dust hindering your vision. These prescription sunglasses are great for those long rides on your motorcycle. The memory flex frame gives riders comfort as well as the protection they need for those journeys. The heavy-duty frame is constructed of triloid nylon so it is durable yet lightweight. Riders will appreciate the removable, vented facial seal that allows air to circulate in and keep moisture, heat, and humidity to a minimum. The temple socks are constructed from neoprene material making the glasses the ultimate in comfort. The Nike Show is great for all your sporting needs. The adjustable temples give you the best fit, while the interchangeable lenses allow you to select the color you want. Nike technology lenses mean you receive the undistorted views no matter what way you look making your sports time safer. The semi-rimless, red frames wrap around so none of the sun’s UV rays can penetrate your field of vision. Feel the security of wearing a pair of Bobster glasses with memory foam encased around the eyeglasses. Switch from regular eyeglasses to goggles with the convertible strap. The frame is designed to allow the right amount of air to enter in, so the lens doesn’t become fogged up. In addition, you’ll have the option between three different lenses – amber, clear, or grey. However, if you want all three in prescription strength, be sure to notify your online dealer. If you like having the option of temple arms or goggle straps, then you’ll appreciate these prescription sunglasses. These sleek, lightweight glasses come with both. You also get smoke and clear lenses so you can use them during sunny days or when it’s evening. What makes these glasses preferred for those who like to hunt or shoot targets for sport is the military grade protection you get. The Wiley X SG-1 supersedes the ballistic standards for safety. They are also authorized to be used in the United States and Danish militaries. The symmetrical venting feature allows for cooling to take place and the facial seal is also removable. Your eyes will have the best of protection with these prescription glasses, which exceed the ANSI Z87.1 stamp of approval. Mirrored vibrant blue lenses stand out with style. Fun in the sun is awaiting you, but first, you need to gear up with the proper protection. Start out with your protective eyewear. Whether you are playing ball, casting your line for some fish, riding your motorcycle, or going for a run, you want to do with ease, comfort, and style. Selecting the best pair of prescription sunglasses for your sporting needs is simple when you browse our large catalog of choices. My Eyewear2go is here to make sure your sporting adventures are safe and stylish. We offer the top of line brands that meet and exceed industry standards for safety. 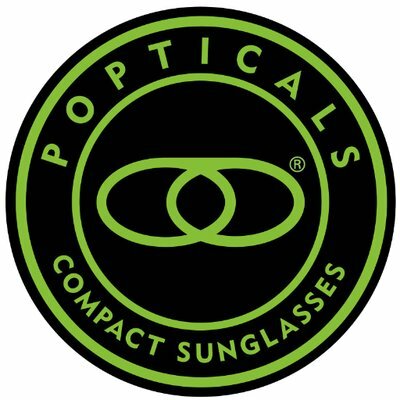 Connect with us and check out our large selection of eyewear today.